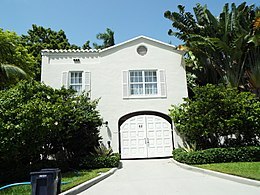 ^ 2.0 2.1 Al Capone dies in Florida villa. Chicago Sunday Tribune. Associated Press. 1947-01-26: 1. ^ 3.0 3.1 3.2 3.3 Schoenberg, Robert L. Mr. Capone. New York, New York: William Morrow and Company. 1992: 18–19. ISBN 0-688-12838-6. ^ 6.0 6.1 6.2 6.3 6.4 6.5 The Five Families. MacMillan. ^ 7.0 7.1 Kobler, 36. 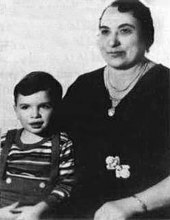 ^ Luciano J. Iorizzo. Al Capone: A Biography. Greenwood Publishing Group. : 26. ^ Bergreen, Laurence. Capone: The Man and the Era. New York: Simon and Schuster Paperbacks. 1994: 131–132. ISBN 978-0-684-82447-5. ^ 17.0 17.1 Hymie Weiss. 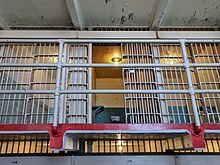 myalcaponemuseum.com （英语）. ^ Wendt, Lloyd; Herman Kogan. Big Bill of Chicago. Indianapolis, Indiana: Bobbs-Merrill. 1953: 232–244. ^ Mayors. Encyclopedia of Chicago （英语）. ^ Big Bill Thompson. PBS （英语）. ^ Vincent "The Schemer" Drucci. myalcaponemuseum.com （英语）. ^ Slay doctor in massacre. Chicago Daily Tribune. 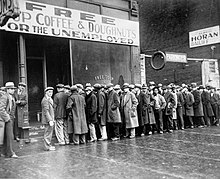 1929-02-15: 1. ^ Trace killers; lid on city. Chicago Daily Tribune. 1929-02-16: 1. ^ Luisa Yanez. Gangster Al Capone's 1930 trial to return to Miami court. sun-sentinel.com. 2010-09-27 （英语）. ^ Bryson, Bill. One Summer, America, 1927. New York: Random House. 2013: 116–117. ISBN 978-0-375-43432-7. 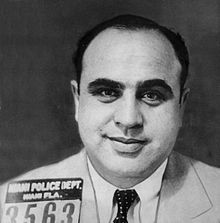 ^ Al Capone Knifed in Prison Tussle. The Free Lance-Star. 1936-06-24 （英语）. ^ First Prisoners Arrive at Alcatraz Prison (Likely Including Al Capone). World History Project （英语）. ^ Kayla Webley. Top 10 Parolees. Time. 2010-04-28 （英语）. ^ Gilbert Sandler. Al Capone's hide-out. The Baltimore Sun. 1994-08-30 （英语）. ^ Larry Perl. For Union Memorial, Al Capone's tree keeps on giving. The Baltimore Sun. 2012-03-26 （英语）. ^ Fred Slade. Medstar Union Memorial celebrates Capone Cherry Tree blooming. Abc2News. 2014-04-10. （原始内容存档于2014-07-27） （英语）. ^ Famous Cases and Criminals – Al Capone. www.fbi.gov. （原始内容存档于2010-10-19） （英语）. 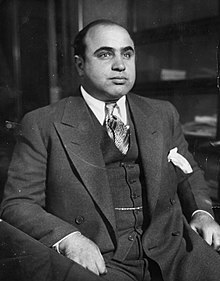 ^ Capone Dead At 48; Dry Era Gang Chief. New York Times （英语）. ^ 53.00 53.01 53.02 53.03 53.04 53.05 53.06 53.07 53.08 53.09 53.10 53.11 53.12 53.13 53.14 53.15 53.16 53.17 53.18 53.19 53.20 Murchie, Jr., Guy. 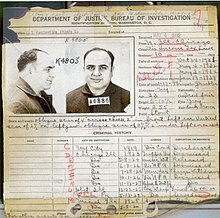 "Capone's Decade of Death". Chicago Daily Tribune (Chicago, Illinois). 1936-02-09.